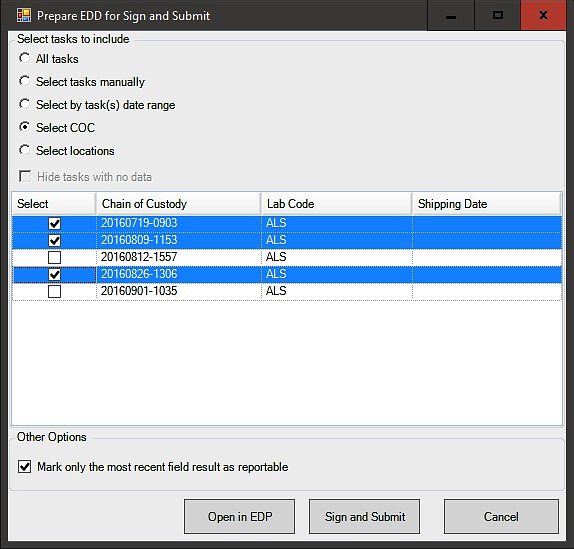 This feature allows you to choose which data to export based on Chains of Custody (COCs) set up in EDGE. This is done by clicking on EDP Export in the Home ribbon and then selecting the Select COC radio button. Note: It is possible to choose what level of detail should be exported for the COC data themselves. Read the Steps on How to Modify the Export article in Disable Exporting COC Data for more details.